Square Enix sure loves to remind us of the past. The 10 year old company is comprised of two legendary companies Squaresoft and Enix. Both were known for delivering what were arguably some of the most memorable and engrossing video game experiences of the 90s. While some will say these games have been outdone by more modern games or even are just simply outdated, there is one gem that still stands above the rest, and managed to accomplish back then what many JRPGs still struggle to accomplish. That game is of course, Squaresoft’s Chrono Trigger. That’s not how you spell Cloud! 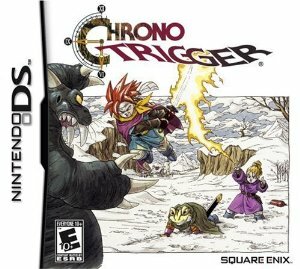 The version of Chrono Trigger we will be dealing with today is the Nintendo DS version. This game was originally released for the Super Nintendo in 1995 to much fanfare in both Japan and the U.S. Square knew how successful the game was and, how much fans loved it, so they decided to re-release it multiple times across several platforms. After the SNES release in 1995, it was then ported to the Sony PlayStation in 1999. It would later be bundled with Final Fantasy IV and released in the US as Final Fantasy Chronicles a couple years later. The game would also be made available digitally starting in 2011 and 2012 for the Wii Virtual Console, PSN and mobile devices running Android and iOS. 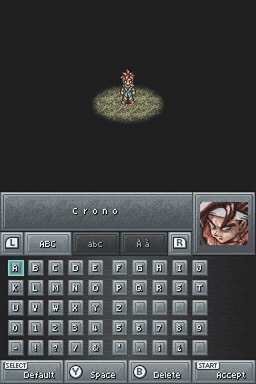 As you can see, Chrono Trigger is widely available. However, despite all of the releases and critical acclaim, it still is not nearly as popular as games in Final Fantasy series, and that is a shame! The beauty of ATB 2.0! Someone, make a shirt or wallpaper out of this! Our game starts off in the year 1000 AD with Crono being awoken by his mother (If I had a nickel for every time…never mind). He is reminded that the Millennial Fair is going on, and that his friend Lucca will be showing off her latest invention there. After grabbing your allowance from your mom and listening to your cat meow a few times, you can exit your house, and you will immediately notice one of the reasons Chrono Trigger is so different from many other JRPGs of the time: no enemies on the world map! That’s right, you can walk around all you want, and you will not encounter a single enemy. Also, you don’t enter towns, but rather certain buildings or hot spots on the map instead. Eventually, you head north and enter the Fair, which, in my opinion, is one of the greatest opening segments of any video game. The thing with this part is that the game is “watching” and keeping track of your decisions and what you do here. I will not go into too much detail because that would ruin a scene later in the game, but let’s just say that certain things you do could come back to haunt you. As you wander around the Fair, you bump into a blond woman, and she drops her pendant. She tells you to refer to her as “Marle,” and she decides to tag along and spend the rest of the day with you. You can take Marle to go dance, impress her with your drinking skills (Those are definitely beers! ), play a couple mini games and fight the robotic Gato, who acts as the game’s combat tutorial. When Lucca is ready, you will be notified, and her experiment begins. This involves two giant machines that are part of a teleportation device. 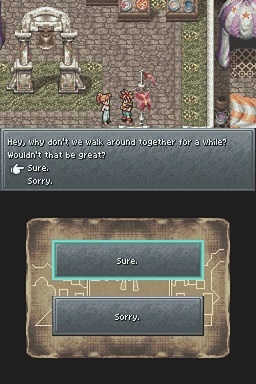 Marle, eager to try it out herself, goes into the machine. Suddenly, her pendant reacts with it, causing her to disappear into a strange vortex, leaving her pendant behind. 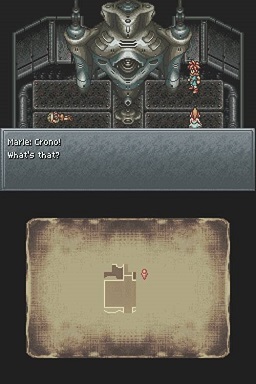 Crono, being the gentleman that he is, decides to investigate what happened and rescue her. What starts off as a simple ‘Rescue the Girl’ plot becomes far bigger as Crono learns who Marle really is, and why the world in which he currently lives is destined to be destroyed by the close of the following millennium. As the name implies, Chrono Trigger involves manipulating time, usually in the form of time travel. The characters will be moving back and forth between several time periods including the Middle Ages, the Future, the year the world comes to an end (this game says its 1999), and even the Prehistoric Era. During each of these time periods, you will meet several memorable teammates including Robo, a robot built in the distant future after the world was destroyed, Frog, a knight who is under a curse that changed his shape, and Ayla, a prehistoric woman who can really pack a punch! You will also encounter enemies and villains from these time periods, so expect to fight knights, robots, fiends and even dinosaurs! I hope Lucca is okay…. 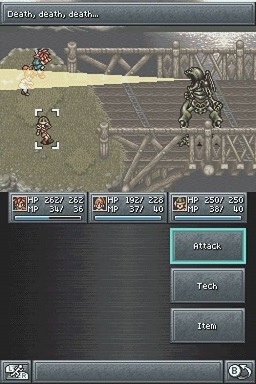 Chrono Trigger uses an enhanced version of the Final Fantasy Battle engine. 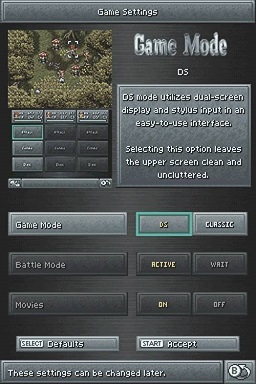 First introduced in Final Fantasy IV, subsequent games used what was called Active Time Battle (ATB, for short). It was a way to make battles much more than ‘select an action and wait.’ In ATB, enemies attack you in real time, even if you have not selected an action. For those who feel too intimidated by this, you can select ‘Wait’ mode. This allows for enemies to wait for you to select an action before they attack, making it a little bit easier. 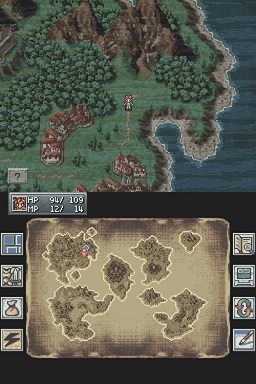 Chrono Trigger uses ATB 2.0, and, in this enhanced version, enemies are seen on the field. When you run into them a battle begins. Battles take place on the field itself, rather than a separate screen. Unlike the Final Fantasy games of the time, the party members actually run up to an enemy to attack when instructed. The enemies are also animated, and will move across the screen. Their position will affect how many enemies you can hit with certain attacks. 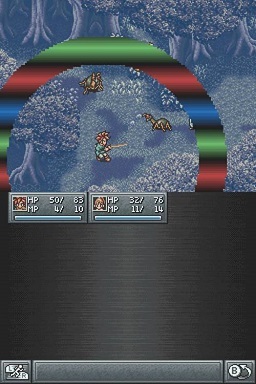 For example, Crono has a technique in which he swings his sword and unleashes a wave. If this move is performed when the enemies lined up with each other, you can hit each enemy in the line. This move is known as a Tech. Every playable character has several of these special moves unique to each of them. They can be special attacks, healing, buffs or elemental magic. The characters can also combine these moves to create more powerful dual, and even triple techs. And believe me when I say these moves are POWERFUL! Of course, this uses each participating character’s turn.